Check out our Spring newsletter with all the latest on what's going on at Aurora including an introduction to our new Volunteer Manager Joe Akram! 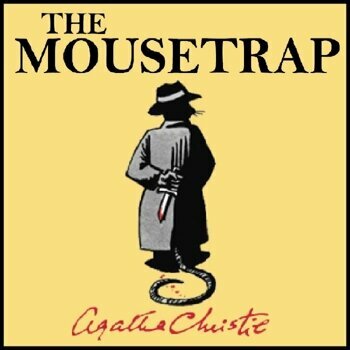 This May saw our Book Group attend St Martin's theatre to watch The Mousetrap which was the book they'd been reading previous. A Merry Christmas to everyone and just a reminder that our office will be closed from Christmas day and open again on Monday January 4th in the new year. To see a copy of this year's Christmas newsletter please click here. It's been quite a month here at Aurora. First of all we had the sad news that our volunteer Kristin was leaving after two years of amazing work. She will be sorely missed by all the clients who benefited so much from her expertise and positivity but we wish her all the best in the future and she hopes to still come back and help out in some capacity so all is not lost! When one door closes though another one always opens and that has given one of our existing volunteers Shane the chance to step into the role which he has done without hesitation and is really enjoying the challenge of unlocking the creative artistic talents of our clients! Carrying on the cheery theme of loss it's also an extremely emotional farewell to our manager Jenni who will be leaving at the end of the month after having been with us for the last four years. It's fair to say that Aurora probably wouldn't be where it is today if it wasn't for all the work that Jenni has put in over this time and the immense compassion she has shown to everyone that's come through our doors. She is a very unique individual who has a positive impact on everyone she meets, from the staff, through to the volunteers and clients and she'll very sorely missed. We wish her all the very best in her next venture and while we know replacing her will be an extremely hard task we're still very excited about the future here at Aurora! September this year celebrated the 26th International Recovery Month, a time when collective organisations make an extra special push to promote the societal benefits of prevention, treatment, and recovery for mental and substance use disorders as well as lauding the contributions of treatment and service providers, and promoting the message that recovery in all its forms is possible. Here at Aurora to help build the relationships between our clients and volunteers we decided to host a picnic for them although we managed to pick the worst day of the year for the weather! However this didn't deter us and instead we held it indoors where we had food, music and games and a chance for people to get together and just enjoy themselves, which they did! Our yummy spread that was quickly devoured! 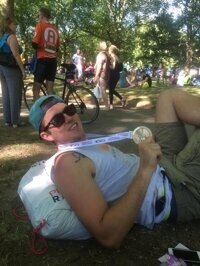 Cycling to Break the Cycle! We have another brilliant trip lined up for the Aurora Book Group. This February, we are reading Audrey Niffenegger's 'Her Fearful Symmetry', a fascinating ghost story set in and around Highgate Cemetery. 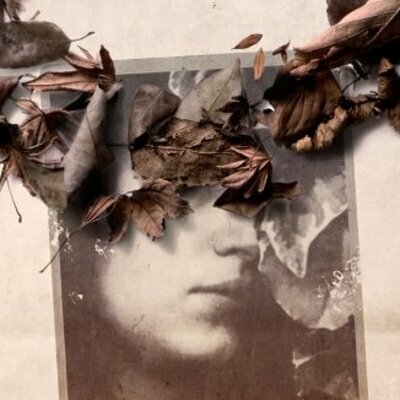 To help us connect with the story and the setting, we will be visiting Highgate Cemetery for a guided tour. Highgate Cemetery is the final resting place of many famous and important people and is also one of the most spectacular graveyards in the UK. We're really looking forward to this day out! 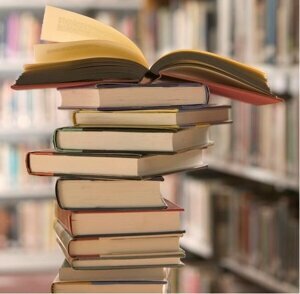 If you would like to join our book group, please use the group work referral form on the website. We are excited to announce another upcoming trip for the Aurora Art Group. This time we are off to the Science Museum to visit the 'Drawn By Light' photography exhibition. The Art Group is a relaxed and informal space to develop skills, explore creativity and meet other people in recovery. If you would like to join, ask your key worker to refer you! Aurora Project Lambeth is featured in this month's issue of Lambeth Talk, the council's monthly newsletter posted through the doors of every Lambeth resident. The article, written by our Service Delivery Officer Roisin, includes information about our services, how to be referred to us as a client, as well as how to volunteer for us. You can also read the piece online here. Last Friday, volunteers and staff all gathered in The Prince Regent in Herne Hill for our annual Aurora Volunteers Christmas Party. This is our big chance to treat our volunteers and say thank you for all the hard work that they put in all year. 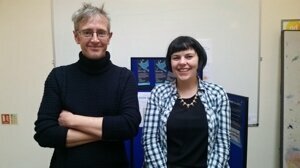 This year, we have welcomed lots of new volunteers, and said goodbye to some as they go on to full time employment. In total, Aurora volunteers have put in more than 400 hours of volunteer work in 2015. This includes peer mentoring, accompanying clients to appointments, and tasks as random as making lunch for 50 people for an event in our office to promote Smart Recovery.Our volunteers take on a vast array of different tasks and we never cease to be amazed and inspired by the work they put in. Without them, we have no project, and our volunteers are without a doubt our greatest asset. We are honoured to work with such a great bunch of people! The December meeting of the book group was a very special one, as we welcomed local author Brendan McNamee to talk to us about his first novel,Mut. It was really interesting for us to get some feedback directly from the author and to discuss our own responses to the book with him. This story in 21 scenes tells the tale of a man who loses his love, his voice and his soul as a result of a traumatic experience, and reconnects with himself through bonding with stray dogs on the streets of Barcelona. Mut is available from Circus in Brixton Village. This Christmas, we were excited to organise our first Christmas outing for Aurora clients. We were privileged to attend the opening night of Golem at The Young Vic Theatre. 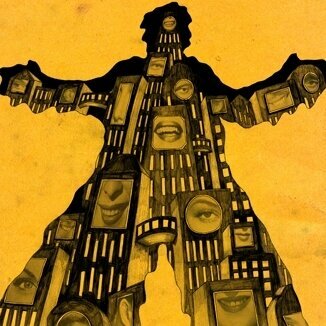 This exciting and innovative play blends animation and live music to create a brilliantly imaginative dystopian future and explores the themes of how while machines are becoming increasingly like man, the danger lies in man becoming increasingly like machines. We all had a wonderful time and for some of us, it was the first time we had visited the theatre, so it was an especially memorable experience. Many thanks to the wonderful Two Boroughs scheme at the Young Vic for making this trip possible for us. Thank you to everyone who came along to the meeting of the book group. 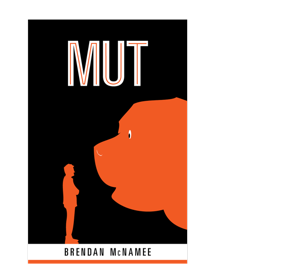 Our next book is Mut by local author Brendan McNamee. Copies are available now from the office. What's more, we are excited to announce that the author himself is going to come along to our next group to talk to us about the book. We are really excited to welcome Brendan for this special meeting of the book group and look forward to seeing you all there. Jenni and Paul representing Aurora at our Lunch and Learn event. Service users, volunteers and professionals from all over Lambeth gathered in the Aurora office last week to learn more about Smart Recovery, Aurora Project and Lambeth Service Users Council. The event was a great way to share information and learn from each other. Massive thanks to everyone who came along! Every Wednesday, Aurora hosts a Smart Recovery meeting in our offices. Smart Recovery is a science based, mutual support approach to looking at addictive and compulsive behaviours and uses Cognitive Behaviour Therapy principles to help in tackling these issues. 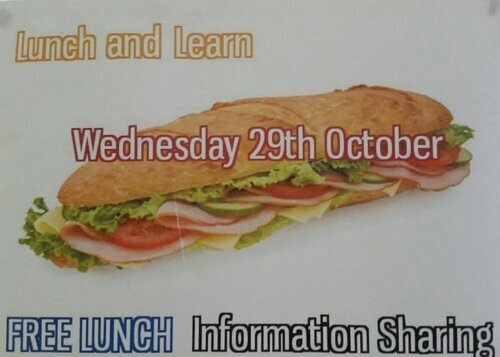 If you have ever been interested in finding out more about Smart Recovery, please drop in to our Lunch and Learn event, taking place in the Aurora offices on Wednesday 29th October between 1 and 3 pm. This will be an informal event, where representatives of Smart Recovery, Aurora Project Lambeth and the Lambeth Service Users Council will be available to answer all your questions. Lunch will also be provided on the day. So do drop by our Stockwell Road premises and find out more! All very welcome. We are very excited to have another great trip lined up for our clients. We are all off to the theatre to see 'The Cherry Orchard' by Anton Chekhov at The Young Vic theatre. The Young Vic offers free tickets to performances to local community groups through the Two Boroughs scheme. We are very grateful to be availing of this wonderful opportunity and look forward to a lovely evening out! Thank you to everyone who showed up for the meeting of the Book Group! We enjoyed a very interesting discussion about J. K. Rowling's 'The Casual Vacancy'. 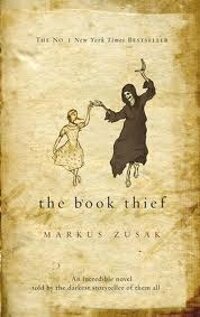 The next book on our list is Markus Zusak's 'The Book Thief'. A limited number of copies are available from the office - come and claim yours! We are so excited to announce that one of our volunteers has been shortlisted for a Team London award from the Mayor of London! It is so hard to pick just one volunteer to nominate, when we think that all our volunteers are wonderful, but there was one person who we felt goes consistently above and beyond expectations. Kristin has been running the Art Group at Aurora and has done amazing work with the group, helping them to develop their artistic skills and express themselves creatively. In addition to the weekly meetings, Kristin has also led trips to exhibitions and also arranged for the group to exhibit their work at a recent film screening. 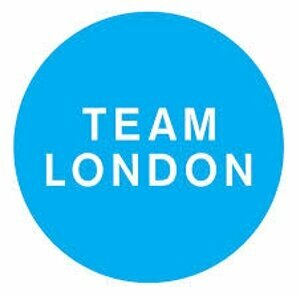 The Team London awards recognise the great work of volunteers all over the city. We think Kristin really deserves this recognition for all of her hard work and commitment to the Art Group here and for turning it into such a great success. The best of luck to Kristin! Our next Volunteer Team Meeting will be taking place on Friday September 19th at 11am at the Aurora office. We will be talking about some new processes and procedures we have put in place, an update on Aurora Project Lambeth, and we will also be joined by Obi Unaka from Action on Addiction who will be talking about the Injectable Clinic in Lambeth. If you have received a letter inviting you to attend this session, do get in touch and let us know if you'll be able to make it. We look forward to seeing you there! Tickets are now available to enter the Aurora Project Lambeth Prize Draw. All the funds raised from ticket sales will go directly towards supporting the Art Group and Book Group for clients of Aurora. The Art Group has been extremely popular and provides a creative outlet for clients. In addition, we have run occasional trips including a recent workshop at the National Portrait Gallery and an upcoming visit to the BP Portrait Awards. The Art Group also just exhibited their work for the first time at a screening of the documentary 'Dead When I Got Here'. The Book Group was established recently in response to repeated demands for this from clients. We have so far enjoyed reading and discussing Oscar Wilde's 'The Picture of Dorian Gray' and George Orwell's '1984' and are very much looking forward to the next book lined up, 'The Curious Incident of the Dog in the Night-Time'. The Book Group provides clients with a copy of the book and an opportunity to discuss our responses to it in a relaxed, informal and sociable setting. Responses to these groups from clients has been very positive, but we rely entirely on donations in order to keep them running. Among the great prizes lined up are a membership to the Tate, a custom designed piece of jewellery and cinema tickets for two. Tickets are only £2 each and are available through the website or you can buy them in person in the office. 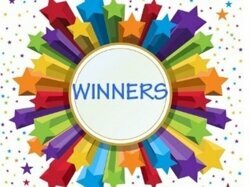 In addition, we will also be giving a special prize to the volunteer who sells the most tickets. The winners will be announced on September 4th. 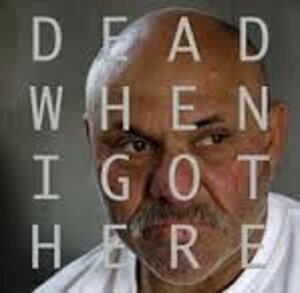 We are very excited to announce that the Aurora Project Lambeth Art Group will be exhibiting some of their work at a screening of the documentary film 'Dead When I Got Here' at the Ortus Centre. The film tells the story of an asylum run by its patients in one of the most dangerous cities in the world. Members of the Art Group will be attending the screening and displaying some of their recent projects. Founders Paul Lennon and Duncan Cairns are running a Drug Awareness training session for all our volunteers. This day long session will enable them to expand their knowledge of drugs, their effects, legal status, street names and associated paraphernalia. Training is open to all Aurora volunteers. If you would like to attend, please contact Roisin in the office at roisin@auroraprojectlambeth.org.uk. June 1-7th was National Volunteers Week, recognising all the hard work done by volunteers who give their time selflessly to further the work of an organisation. At Aurora, our services are delivered entirely by volunteers and without them we would not be able to do what we do. Our volunteer peer mentors work closely with clients to help them achieve their goals and give their support every step of the way. To celebrate their achievements, Aurora hosted an office party. It was brilliant to see so many volunteers old and new! We are so thankful for them and the work they do. To become a volunteer at Aurora, see the 'Volunteers' section of the website. Aurora Project Lambeth is now running a Book Group and an Art Group. We are accepting referrals for clients who wish to attend either group even if they do not have a peer mentor with Aurora. Referral forms can be found in the Professional Resources section of the website. Andrew Brown of The Daily Telegraph who specialises in addiction and mental health issues recently visited us at the Aurora office and met with staff, volunteers and clients. He was really impressed with the work of the project and has written a blog about us which you can read in full here. Paul, Mel and Duncan from Aurora Project Lambeth were interviewed by Lee Jasper on Colourful Radio talking about issues surrounding poverty. You can listen to a podcast of the interview online through the Colourful Radio website. The Art Group at Aurora Project Lambeth will be making a trip to the National Portrait Gallery. Following the recent completion of their own self portraits, the Art Group will be attending a workshop run by one of the gallery's educators called 'What's In A Portrait?'. Places are limited so let us know if you would like to attend! Aurora Project Lambeth administrator Roisin has written a profile of the organisation which has been featured on Brixton Buzz blog. Read about our founding principles, our work and our volunteers here. Aurora Project Lambeth is featured on the Streatham Guardian website talking about the work we do with the community in the local area. To read the article, follow this link. We are featured in this month’s Drug and Drink News talking about the work of Aurora Project Lambeth. To read our article online follow this link. “Aurora Project Lambeth is a peer mentor service designed to offer support to people who are in, or about to go through, treatment for drug or alcohol problems. This is just an excerpt from a fantastic article that the Brixton Blog write about us. Click here to read the whole article. We are extremely proud to announce that we have achieved Approved Provider Standard, the Mentoring and Befriending Foundations national quality standard. Please click HERE to read more. Please click HERE to read our latest newsletter, which includes an introduction to our new board members. Please click HERE to read our latest newsletter and find out all about our new look and how we try to create the perfect match between volunteers and clients. Please click HERE to read our December newsletter. Please click HERE to view our brand new newsletter, which includes an interview with one of our volunteers. On the 25th April 2011 Aurora Project Lambeth officially launched its self, at an event that was attended by not only many of our volunteers and clients but also by Kenny Gregory, Commissioner for Lambeth PCT. Drink and Drugs News also attended the event and wrote an article about Aurora in its May 2012 issue. You can read the Please click here to view the article as a PDF (pdf).